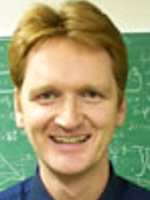 Oliver Ebenhoeh studied Mathematics and Physics at the University of Heidelberg (Germany), and did his PhD in Theoretical Biophysics at the Humboldt University, Berlin (Germany), where he continued to work as a postdoctoral researcher until 2006. He established his research group 'Systems Biology and Mathematical Modelling' at the Max-Planck-Institute of Molecular Plant Physiology in Potsdam (Germany) in 2007. 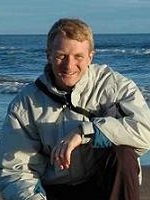 He moved to the University of Aberdeen in 2009 where he was appointed Reader in Systems Biology as a joint position of the Institute for Complex Systems and Mathematical Biology and the Institute of Medical Sciences. 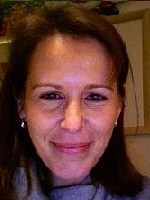 Dr. Geddes is the Associate Dean for Faculty Affairs and Research and Professor of Mathematics at Olin College. He graduated in 1990 from Heriot-Watt University, Edinburgh with a B.Sc. in Physics and received his Ph.D. in Applied Mathematics in 1994 from the University of Arizona. 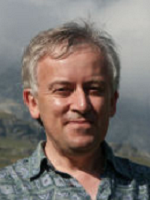 Dr. Geddes has worked closely with the Institute for Complex Systems and Mathematical Biology at the University of Aberdeen on various projects including the mathmatics of micro-vascular blood flow. No picture of Alessandro is available. 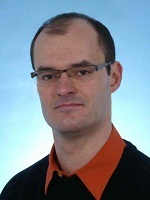 Dr Alessandro De Moura is a lecturer at the University of Aberdeen and a member of the Applied Dynamics Research Group within the Institute of Dynamics and Control. I studied Physics in Spain and Germany; then I did my PhD at the University of Potsdam (Germany) in 2004, and stayed there for two more years doing a PostDoc. I moved to Aberdeen at the end of 2006 and became Lecturer in 2007. 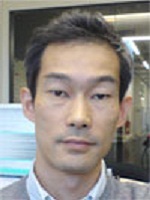 Yasushi was a graduate student in Mitsuhiro Yanagida’s laboratory in the Biophysics Department of Kyoto University, and his early postdoctoral work was with Professor Jim Smith and centred on the early Xenopus embryogenesis, especially the function of activin, an archetypical morphogen, and its downstream targets. BSc, University of Bristol (Biochemistry), 2.1 Honours 1975. PhD, University of Wales Cardiff (Biochemistry) 1976-1980. Postdoctoral Research Fellow, University of Sheffield (Microbiology) 1980-82 (including 3 months at University of Pittsburgh, USA). Research Fellow/Lecturer/Senior Lecturer/Reader, University of Wales College of Medicine (Medical Genetics), 1982-1994. 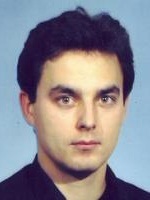 Ian Stansfield graduated from the University of Sheffield with a BSc (Hons) Microbiology in 1986, and was awarded a PhD in 1990. His post-doctoral research was carried out with Professor Mick Tuite at the University of Kent from 1990 to 1996. This work focused on studies of protein synthesis in yeast, investigating how the accuracy of protein synthesis is maintained, and the mechanism of translation termination. In 1996, he moved to the University of Aberdeen to take up a Lectureship position. 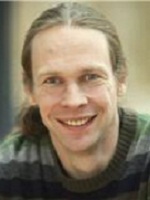 Ekkehard Ullner was appointed SULSA Lecturer in Systems Biology at the University of Aberdeen in 2009. In 2004, he was awarded a PhD from the University of Potsdam for the thesis “Noise-induced phenomena of signal transmission in excitable neural models”. He investigates genetic networks with cell-to-cell communications and deduced numerical simulations of the repressilator model with cell-to-cell communication mediated by an additional quorum-sensing module.